The Great Barrier Reef is particularly richly endowed with a vast number of distinct, but interrelated such systems. It was declared a World Heritage site in 1981, is home to thousands of species of marine life, forms a protective barrier for thousands of kilometres of coastal land, and is one of the world’s most popular tourist attractions. Yet the Reef is currently living on life support, and it looks set to enter its terminal phase. Back-to-back bleaching events have caused almost a quarter of the Reef to die and have also affected an astonishing 93% of this natural wonder. Terrifyingly, both the proportions of corals affected by bleaching and the rate of decline are increasing. Losing the Great Barrier Reef would be catastrophic; we would be deprived of the largest living structure in the world, and our health, economy and safety would suffer as a consequence. The incredible density and diversity of life supported by the Reef make it an extraordinary source of new medicines that are only just beginning to be explored. Many medicines such as secosteroids; an enzyme used by corals to protect themselves from diseases, can be used to treat asthma and inflammatory diseases. Two drugs currently on the market for cancer and pain are derived from marine sources and every year new discoveries are made, making the survival of the Reef important to human health in a very direct and tangible way. The tourist industry of Queensland boasts 220,000 employees; nearly 10% of all employed people. The Reef alone adds an annual income of over $5.5billion to the Australian economy. Bleaching of the Reef and subsequent coral death could lead to a decrease of around 2 million tourists per year, which will only decline further if the Reef were to become completely bleached. In Far North Queensland one in five jobs is dependent on the tourist industry. This is compared to the mere 1464 jobs expected to be generated by the proposed Carmichael mine, an infrastructure project widely condemned by environmental and health groups. Any further deterioration of the health of the Reef could therefore be devastating for employment. The impacts of joblessness on health are well documented. The unemployed have a higher prevalence of anxiety, depression, attempted suicide and suicide, as well as physical health complaints including cardiac, respiratory and musculoskeletal disease. This is costly to the economy on many levels. Unemployed people have less disposable income and pay fewer taxes, while incurring a cost to the government in increased support, benefits and healthcare. Large coral reefs also act as a barrier to the progress of cyclones approaching land, where they often cause huge amounts of damage and flooding. Around 300 people have died as a result of tropical storms in Queensland since 1900; a number that would likely be greater without the protection of the Reef. In 2010-2011 Queensland suffered extensive flooding associated with Cyclone Tasha, leading to a tangible asset loss of $6.7 billion and intangible losses of $7.4 billion. More than 78% of Queensland was declared a disaster zone, affecting 2.5 million people and taking the lives of 38. The Great Barrier Reef is of huge cultural significance to the Aboriginal and Torres Strait Islander peoples of Australasia. The local seas, islands and cays, wild life such as turtles and dugongs and the Reef itself feature heavily in the Dreamtime, and loss of the Reef will mean another blow to the cultural heritage of this disadvantaged population. So who or what is to blame for the Reef’s untimely demise? There is unanimous agreement in the scientific community that global warming, driven by greenhouse gas emissions, such as carbon dioxide and methane, is a threat to all life on Earth. Some of the largest contributors to these gases include burning of fossil fuels for electricity and heat production, animal agriculture, changes of land use, and deforestation. In Australia, the largest contributors to greenhouse gas emissions are electricity production (35%); fossil fuel mining, refinement and processing (~13%); transport (18%); and animal agriculture (13%). If the recently approved Adani Carmichael mine at the Galilee Basin in Far North Queensland is constructed it will produce 700 million tonnes of carbon dioxide per year; an overwhelming 130% of Australia’s current annual emissions. 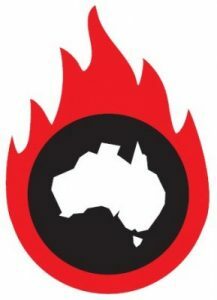 This is in direct conflict with the UN ratified Paris Agreement to limit climate change to 2 degrees Celsius, an agreement that Australia is already destined to fail to meet. The Reef 2050 Long-Term Sustainability Plan has outlined actions and targets in an endeavour to save the Great Barrier Reef, including funds of up to $240 million to improve water quality and decrease the impacts of fishing. However, it is water temperature brought on by climate change as well as water quality that hold the greatest threat to the Reef. So called “marine heatwaves” have caused temperatures on the Reef to soar to 1-1.5 degrees Celsius above the long term average, resulting in catastrophic bleaching. The fate of the Great Barrier Reef lies largely in our hands. This World Oceans Day, let’s protect this priceless natural wonder. Let’s say a firm “no” to the Adani Carmichael mine. Let’s call for a transition from coal. Let’s adopt changes in our lives to reduce carbon emissions; supporting conservation charities, educating others about climate change, re-using and recycling, eating less meat (which is also healthier) and changing to renewable energy sources. Together we can nurse the Reef back to life. 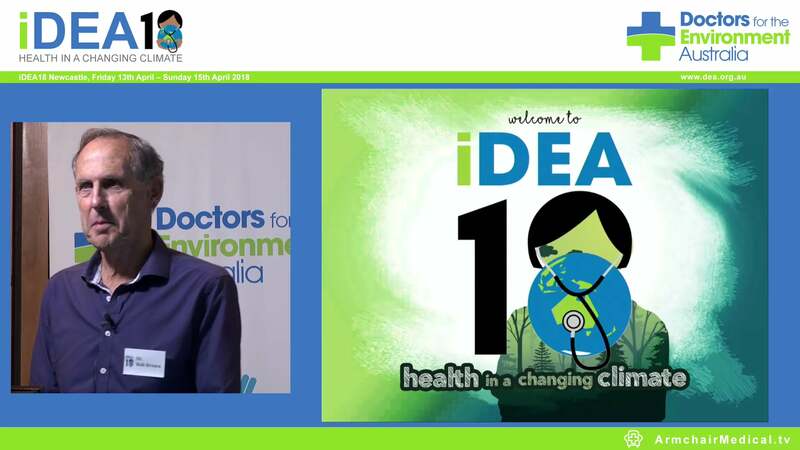 Dr Lea Merone is a public health registrar based in Cairns, and is a member of Doctors for the Environment Australia (DEA). Dr Andrew Daltry is a Cairns emergency doctor, and is also a DEA member.